Jermarcus Hardrick (51) in game action during the preseason game vs the Edmonton Eskimos June 15, 2017. 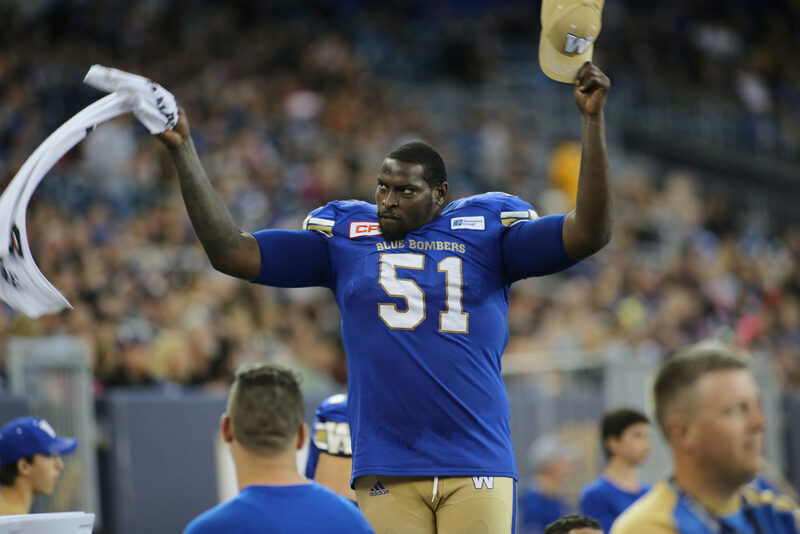 WINNIPEG, MB., November 28, 2018 – The Winnipeg Blue Bombers today announce the club has agreed to a one-year contract extension with offensive tackle Jermarcus Hardrick. Hardrick started 15 games in 2018, missing three due to injury. Over his three seasons in Winnipeg, Hardrick has started 49 games at right tackle, being named a West Division All-Star in 2017.